The City of Satsuma is located just south of the I-65 and Highway 43 intersection in Mobile County, Alabama and once boasted of a thriving citrus (specifically satsumas) and pecan growing economy. Established in 1959, the community now serves as a suburb for the City of Mobile. Though Satsuma is geographically small (6.5 sq. miles), its population has experienced significant growth in recent years. Our current population, according to the 2010 census, is 6,168. With creeks and waterways on one side, Satsuma has become a gateway to the Mobile Delta and the Mobile River. As a growing community, Satsuma recognizes the importance of the protection of our natural environment, and balances the need for growth and economic development with environmental consideration. We invite you to get to know our beautiful city by browsing through our web site. Please contact us at City Hall (251) 675-1440 or use the contact form for any questions or comments. 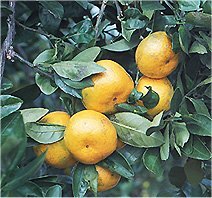 Satsuma is located at Latitude 30.85 & Longitude -88.06.